You'll love our platform, but we appreciate that you sometimes need to do something a little different. 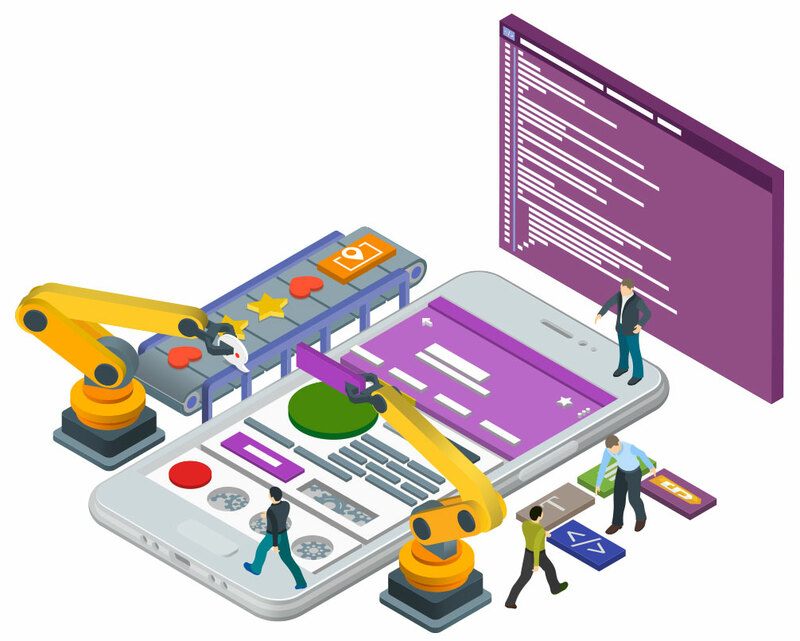 The REST API has you covered, allowing you to build a variety of bespoke apps and integrations while the platform does the heavy lifting behind the scenes. 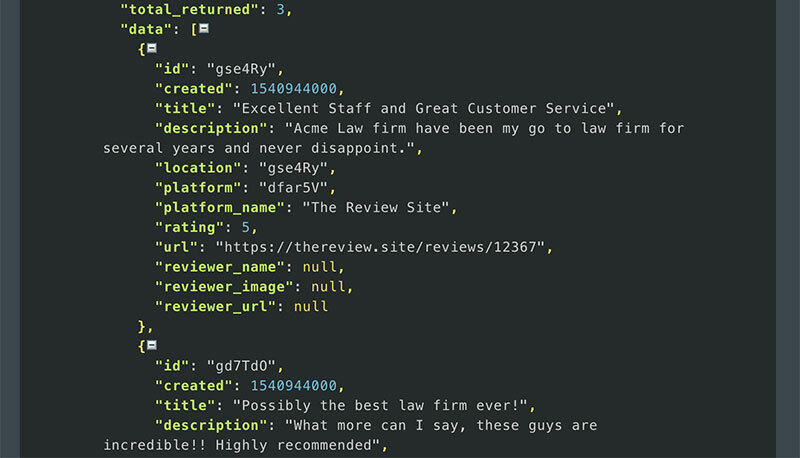 With our developer's API you get full control to create, update and retrieve information on any of your accounts, their reviews or their locations. 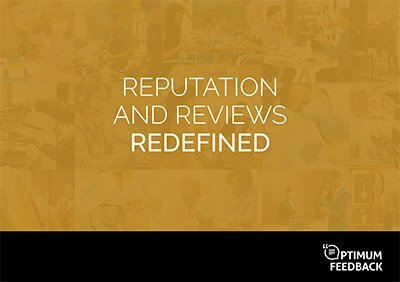 Generate new review requests, create deep integrations into your CRM or build segmented multi-channel marketing campaigns to target reviewers based on their sentiment. Need to offer your clients API access? We've got you covered. 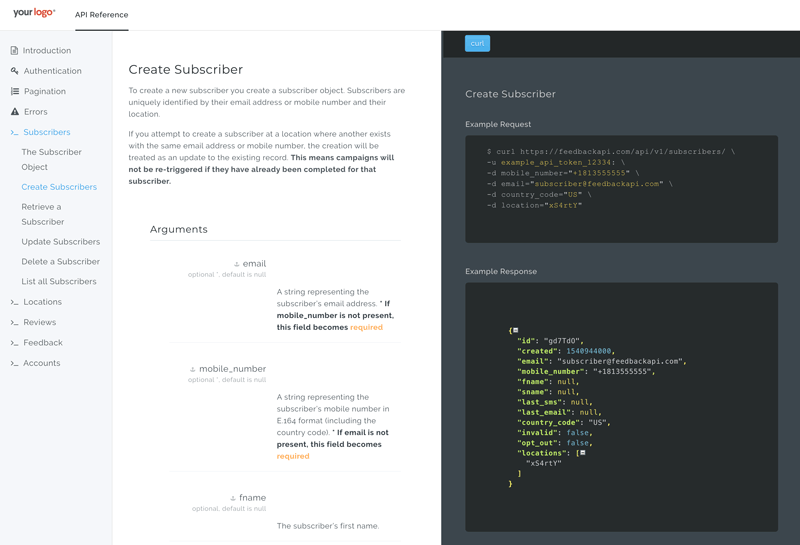 Customize your own branded API documentation with your logo and company details. All of our API endpoints are available on a white label domain, so you can share details directly with your clients. Create your own workflows to assign reviews to team members, automatically respond to positive feedback or trigger an investigation when specific topics or issues are mentioned. 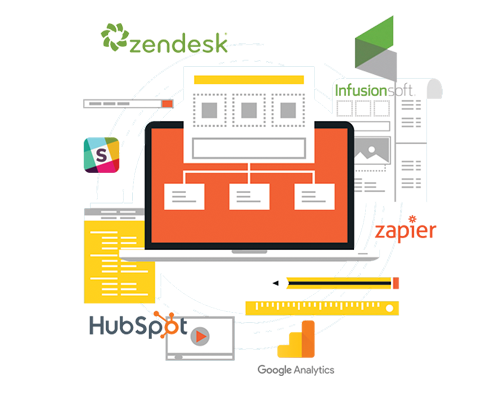 Workflows also streamline the setup required whenever you acquire a new client. Create a macro to retrieve client information from your CRM, and instantly configure a new account, their locations, feedback templates and language settings with minimal input. Create deep integrations with the software tools you already use to create new accounts, start feedback request campaigns or display aggregate review data for a client in your CRM. Build specialized integrations to automatically import customers from any CRM or Management System with an API, resulting in a frictionless experience for your client. 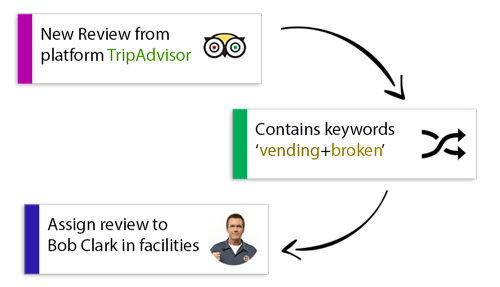 Get normalized, structured review data from multiple platforms with one simple call. Use this data to build branded widgets, review showcases and social tools for your clients that refers traffic back to their brand.